The Sri Lankan three wheeler, commonly known as the ‘tuk tuk’ has often been considered the best form of travel for locals and tourists for years, with their ability to creep into the tiniest spaces on busy Sri Lankan roads. The tiny vehicle is considered to be a blessing to passengers, as well as the bane to all other vehicles on the street. With the recent introduction of ‘metered tuk tuks’, many passengers have begun to favour the easy hop-in and ride method of transport to the usual bartering that has to be done to negotiate prices, resulting in many tuk tuk drivers upgrading their rides with meters. 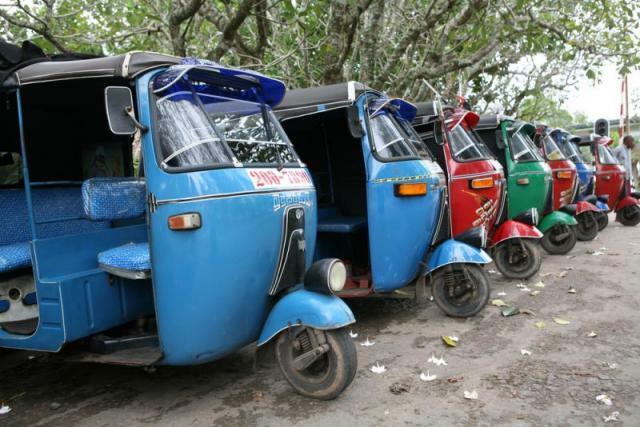 For tourists though, hopping into a tuk tuk will not be as easy as it ought to, with new regulations introduced by the Sri Lanka Tourism Authority to ban the transport of tourists in tuk tuks that do not have a special permit. According to the Tourism Authority, the measure has been taken not to inconvenience tourists, but to help ensure the safety and comfort of tourists. In order to obtain a permit, three wheeler drivers will need to complete a four day training conducted by the Sri Lanka Tourism Authority to be certified. This is one of the many steps the government has taken in regulating close to half million three wheeler taxis that are in operation around the country.